An organization that needs a new mobile app will consider the percentage of its customers/employees that have iPhones, Android smartphones, BlackBerry smartphones, and Windows Phones. Choosing the most popular mobile devices used in a particular region, industry, and company will maximize the app’s reach. Thus, the most popular smartphones used by customers/employees of that company influences which smartphones the app is developed for. 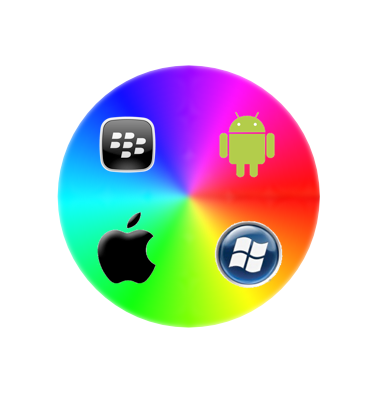 A consumer that needs a new smartphone will consider the selection of apps available for a particular phone model. According to comScore’s Mobile Future in Focus Report 2013, the selection of apps is the fifth most important consideration when purchasing a smartphone, behind the network quality of service provider, phone operating system, total monthly service cost, and data plan cost. What you may not have expected is that the selection of apps is more important than the price of the phone, brand name of service provider, and brand name of the phone! Thus, the apps that an organization chooses to develop influence which smartphones the user purchases.